Borroni, Massimiliano & Simone Cristoforetti. 2016. 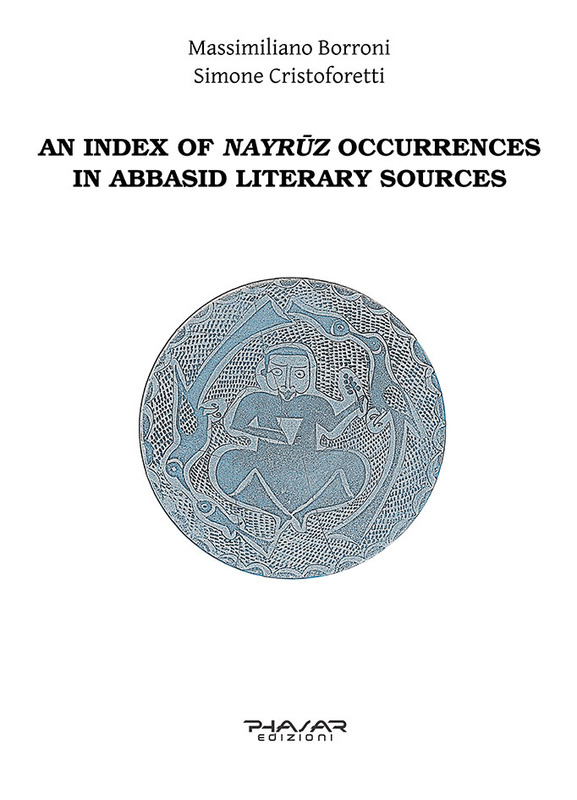 An Index of Nayrūz Occurences in Abbasid Literary Sources. Phasar Edizioni. This volume is the result of a two-years research project entirely funded by Ca’ Foscari University of Venice in 2012. The project focused on an exhaustive indexing of all edited Arabic sources mentioning the festival of Nayrūz (Nawrūz) in the Abbasid age (750-1258 CE). The preference given here to the Arabic form Nayrūz for the name of the first day of the Iranian traditional solar year is in agreement with the majority of the literary sources in Arabic language of the Abbasid period.